Certified nursing assisting is one of the most popular and rewarding professions within allied health. 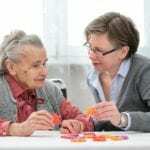 The demand to direct care professionals, especially in the area of long-term care can be attributed to a surge in the aging population who are living longer and need to manage chronic diseases. The United States Bureau of Labor Statistics projects an upward trend in employment for CNAs with an expected increase of 20% over the next decade. Employment for CNAs is growing faster than the average for all professions and is a reflection of the demand for health professionals in general. CNAs have an instrumental role in patient care as the work alongside nursing professionals to enhance or maintain the quality of life of patients or resident. They usually spend the most time with patients as the manage their basic needs by bathing, dressing, and grooming those who are unable to help themselves. Another key role of CNAs is to gather vital information about the patient’s medical condition and emotional well-being and report critical changes to a licensed nurse or physician. 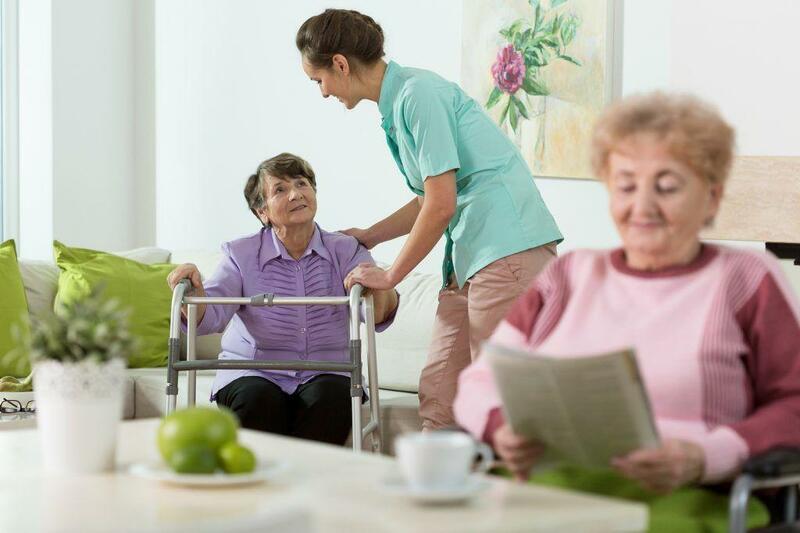 Certified nursing assistants work in hospitals, nursing homes, assisted living facilities, home health agencies, and elderly care centers. In New Jersey, CNAs earn approximately $38,000 annually. The nursing assistant program at Bradford Institute provides the essential knowledge and skills for students to pass the state certification exam and assume an entry-level position as a nurse assistant. The program’s duration is 5 to 6 weeks depending on the schedule. The NJDHSS-approved curriculum covers all the areas students need to work in state-licensed facilities. Qualified instructors will cover topics such as vital signs, range of motion exercises, laws and ethics, patient rights and independence, infection control, vital signs, feeding and nutrition, personal hygiene, and rehabilitative and restorative techniques. During the skills lab, students will practice the key skills in preparation for success on the licensing exam. Applicants must provide immunization records, pass a background check and submit to a drug screen. A flexible payment plan is available to all students. ATC Academy’s 90-hour nursing assistant training prepares students for an entry-level position in a long-term or acute-care facility. The program is approved by the New Jersey Department of Health and Senior Services, so graduates are eligible to sit the state certification exam comprising of the written or oral and skills exam. The comprehensive curriculum includes studies in anatomy and physiology, medical terminology, basic nursing skills, infection control, vital signs, communication, safety procedures, range of motion exercises, ambulating patients, fluid intake and output, and much more. Applicants do not need a high school diploma to enroll in the program. The clinical site may require proof of immunization, drug screen, background check, and TB clearance. Graduates who secure employment at a Nursing Home with 12 months of certification will be eligible for a refund of school fees, state exam fees, and textbooks. Anderson Health Institute will provide nursing assistant training to meet the demand for health care workers in Paterson, NJ. The 90-hour program includes classroom lectures and hands-on learning opportunities in the school’s innovative skills lab. Students who successfully complete the training will be eligible to take the New Jersey State certification exam to become a Certified Nurse Assistant. CNA graduates also have the option to enroll in the conversion class to prepare for certification as a Home Health Aide with just 10 additional hours of training. Additional training in Basic Life Support is also available to students. Anderson Health Institute’s top-notch program has a pass rate of 100% for the classroom and skills tests and a 95% rate on the state exam. Qualified instructors are committed to students’ success on the exam and in the workforce. Graduates will receive job placement assistance. AHI has a job placement rate of 85%.